A study of four countries in Southeast Asia (Cambodia, Indonesia, Myanmar and the Philippines) shows only 18% of adults use a bank account to receive wages or pay utility bills. Photo credit: ADB. 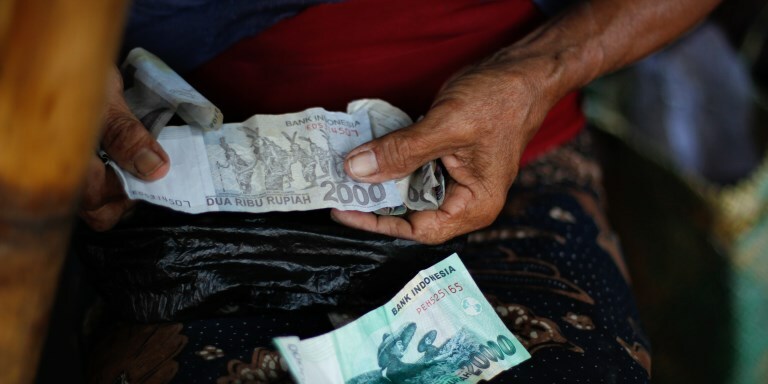 A study of four Southeast Asian markets examines how digital financial solutions can play a key role in closing gaps in financial inclusion. Worldwide bank account ownership rocketed by 700 million between 2011 and 2014, and as of 2014, 62 percent of adults globally reported having a bank account with a formal financial institution. This represents significant success in extending access to formal financial services. However, promoting the use of formal financial services continues to be a challenge across developing economies (including a number of ASEAN markets), and the depth of engagement varies with different financial products. For example, a recent Asian Development Bank study of four Southeast Asian markets shows that only 18% of adults use a bank account to receive wages or pay utility bills, and only 11% borrow from formal sources. Conducted by Oliver Wyman and Microsave, the study, which is focused on financial inclusion, finds that digital financial solutions can play a significant role in closing these gaps in financial inclusion by promoting regular use of various financial services products. Digital applications can address 40% of the volume of unmet demand for payment services and 20% of unmet credit needs in the “Base of Pyramid” and the micro, small, and medium enterprise (MSMEs) segments, according to the study, which assesses the impact of digital finance in Cambodia, Indonesia, Myanmar and the Philippines. The effect of leveraging digital technology to bank the unbanked could boost gross domestic product (GDP) by 2% to 3% in markets such as Indonesia and the Philippines, and by 6% in Cambodia. Making the most of this opportunity could shape the future growth trajectory of the financial services industry, particularly in smaller markets such as Cambodia and Myanmar, where only a small percentage of the current needs for financial services are met by formal providers. They can enable fast, low-cost and convenient customer identification and verification processes—especially when powered by unique national identification numbers, a real-time verification infrastructure and supporting regulatory frameworks such as tiered know-your-customer (KYC) schemes. They can meaningfully alter the economics of the supply side by addressing last-mile distribution and servicing issues through low-cost, widespread, digitally enabled points of physical access such as mobile phones and point-of-sale devices. They can become prevalent throughout the payments value chain and ecosystem. Digital government-to-person payments—such as employee payments (wages and pensions) and social transfers—and remittance flows can create the initial momentum for electronic payments, thereby supporting the development of viable supply-side business cases. These can be sustained and further developed through person-to-all payment systems (which include all payments made by individuals, including to businesses or the government), combined with interoperable networks and open application programming interface platforms. They can significantly enhance access to credit by using alternative sources of data, such as payment transactions and telecoms data, as well as analytics. These improve customer profiling, credit risk assessment and fraud detection. Savings can be mobilized digitally through alternative, lower-cost origination and distribution channels and more-convenient product designs, such as mobile wallets connected to savings accounts and intuitive goal-based savings products. An easy KYC and on-boarding process can also contribute to savings. The table below provides an assessment of the financial inclusion gap across four focus markets and the potential impact of digital finance across different need categories. Since much of the digital enablement will be driven by the supply side, regulatory and public policy actions will play a significant role in creating a favorable environment. There is a need for action in the following three areas. Create a level playing field by allowing collaboration and competition between traditional financial services players and new types of supply-side participants such as mobile network operators. Develop a "safe space" for businesses to test new ideas in a live environment with more permissive regulations that provide clear guidance on the development and role of agent networks, and allows different supply-side operators to use these alternative channels; and promote low cost and more convenient payment channels and network infrastructure, for example, by advocating and mandating transfer of money between mobile money platforms. Produce a unified roadmap for financial inclusion to focus the efforts of various stakeholders; and put in place a governance mechanism to facilitate coordination and ensure accountability for action in all relevant government departments. When all of these elements fall in place in a mutually reinforcing manner, rapid change in the level of financial access and usage can be achieved. The graphic below illustrates how such a digitally enabled solution can take shape in customer identification and verification. The user possesses a universal unique ID that is verifiable with biometric information stored in a public utility database. This is accessed in real time by various service providers via different channels, ranging from agents to fully digital customer-initiated requests. The end result is the ability to extend access to the unbanked/under-banked population by significantly reducing the cost of KYC, customer due diligence and on-boarding processes. This is not a pipe dream of a digital future. India is a case in point where much of this is now being realized on the back of a universal national ID project (called Aadhaar). Indonesia’s national ID program (e-KTP) is also being developed to enable a similar end-state solution. The opportunity to accelerate financial inclusion through digital finance is clear, and the impact would be significant on both the lives of financially excluded people and the broader economy. Regulators and policymakers have critical roles to play in supporting and enabling this digital innovation. Oliver Wyman. 2017. Accelerating Financial Inclusion in South-East Asia with Digital Finance. Mandaluyong, Philippines: Asian Development Bank. Ritwik Ghosh has 12-plus years of financial services industry and consulting experience across emerging markets, including Southeast Asia, South Asia, and Africa. He is an expert in retail and small- and medium-sized enterprises banking strategy development, sales productivity enhancement and customer analytics.